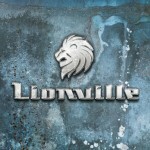 Italian band LIONVILLE is a brand new but nostalgic AOR/Westcoast project from Italy. Perhaps international is a better word since guitarist, vocalist and main man Stafano Lionetti has attracted an impressive host of musicians from all over the world; vocalists Lars Säfsund (WORK OF ART, ENBOUND), and Arabella Vitanc (ALYSON AVENUE), and Erik Mårtensson (WORK OF ART, WET), guitarists Bruce Gaitsch (RICHARD MARX, CHICAGO), Tommy Denander (RADIOACTIVE, HOUSTON), and Sven Larsson (STREET TALK), plus a heap of others. The project is a labor of love with hand crafted songs by the involved musicians, as well as a carefully selected cover of JOHN FARNHAM`S movie track “Thunder in Your Heart”. Anyway, on with the show! Opener “Here by My Side” is classic and classy AOR, with a neat chorus and a sweet refrain. They actually top that right away with “With You”, which sounds like any of the US household names in AOR. The Westcoast softness of “Centre of My Universe” is equally impressive, and very suited to the voice. Who could go wrong with an old JOHN FARNHAM track? Certainly not this lot! I admit that there are no “ok” or “passable” written in the margin about this CD. The material is impressive and scored above average all the time. Six out of eleven songs are masterful, not least the Säfsund/Vitanc duet “The Chosen Ones”. I could go on about this release for ages, but I will keep it short and simple and state that this is one for the Best of 2011!